I have been such a slacker! I do have good reasons though! 🙂 If you can believe it, I completed all the activities for this post with Little Man back in October! Who would have guessed that you don’t get a lot of free time with a toddler?! This crane is from IKEA, and it is awesome! The blocks fit into the back like a puzzle, but they are also magnetic, and can be picked up by the arm of the crane! 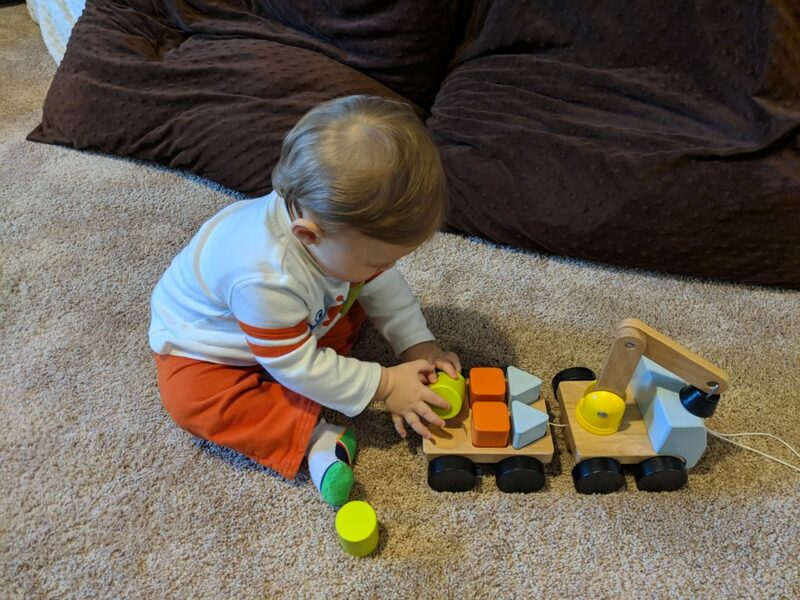 When we completed this activity, Little Man was just starting to get the hang of his shape sorter, so I knew this would be perfect for him! Puzzles in general are such a great cognitive activity; the crane just happened to go perfectly with this week’s theme! Obviously, I know that many of you do not have this crane, or have access to an IKEA, so any puzzle will work! We have this one from Melissa and Doug! The big, chunky handles are perfect for little hands! If you don’t have any puzzles that your baby can complete right now, or if you just want an extra activity, head on over to Katie Kuras’, Teachers Pay Teachers site and download this free memory game! My Little Man is not ready for memory yet, but he loved looking at the pictures while I talked about each of the objects. Also, if you have an older toddler, try having them match picture-to-picture! We made dirt play-doh! I saw a lot of recipes for this on pinterest, but ended up going with this one from Natural Beach Living, just in case Little Man decided to try some (which he did)! For extra fun, we added some of Little Man’s construction trucks! These trucks are from an old version of Fisher Price’s Little People, that they no longer make. However, if you look below, I show another great option for construction vehicles, so be sure to check them out! I had two different activities for motor! 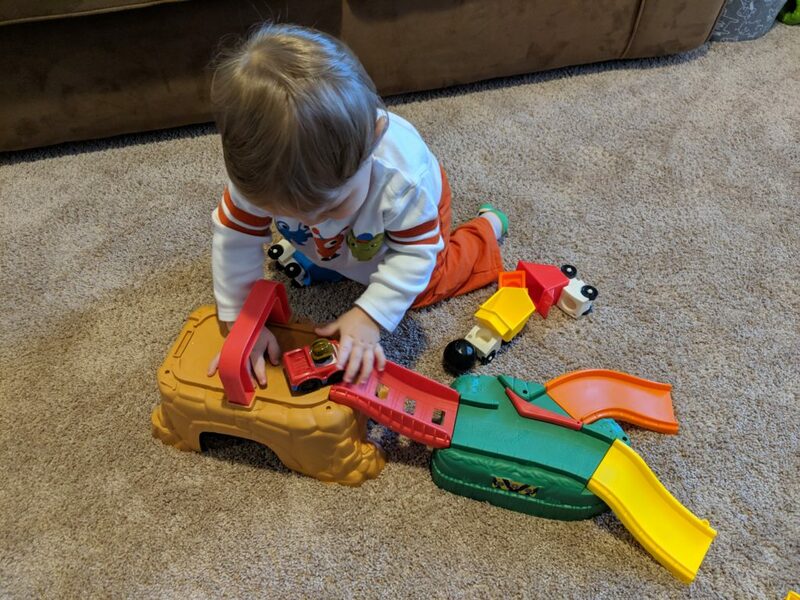 The first was letting Little Man play and explore this awesome play-and-go construction site from Little People, that I found at a consignment sale. I wish Fisher Price still made this! If you can find one, I definitely recommend it! However, since this item is no longer made, I have another activity that was a big hit with my Little Man! 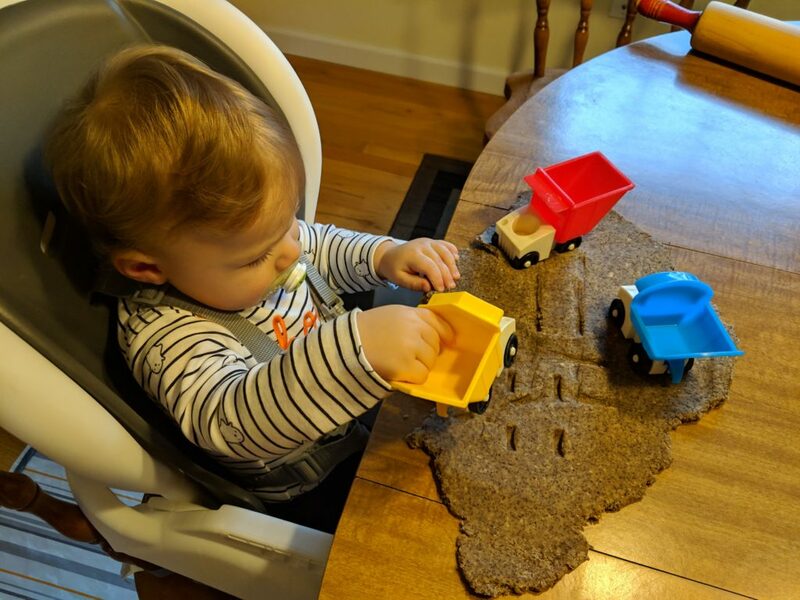 I put stones into his dump truck! 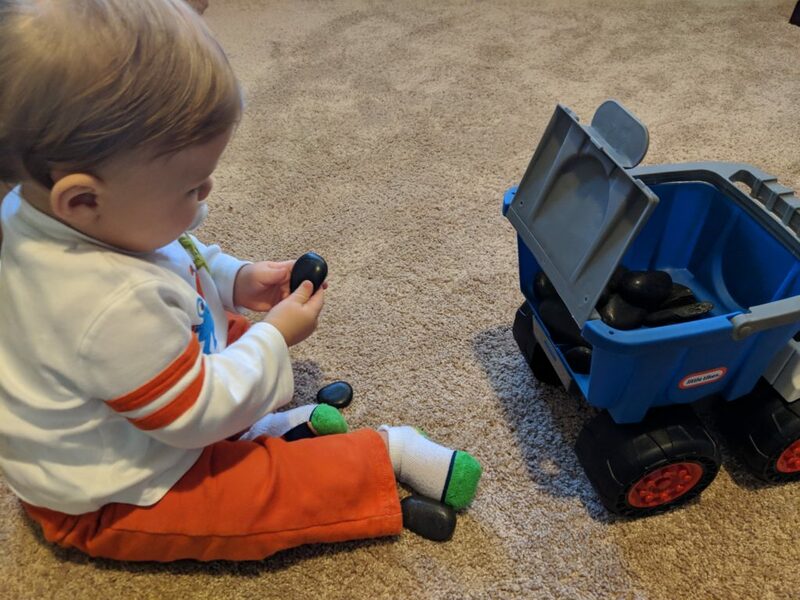 He had a blast taking them out, dumping them out, putting them in, and pushing them around! He was content with doing this for about ten minutes (which, if you have a baby/toddler at home, you know is a lot of time)! 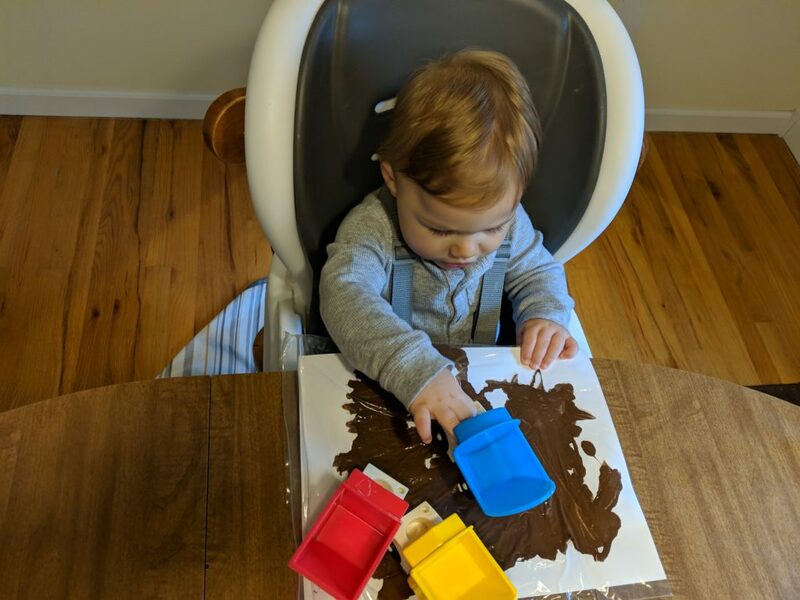 All you need for this activity is some vehicles, paper, brown paint, and a ziploc bag if you choose to go the mess-free route. 😉 Super simple, but a lot of fun! Then, once it’s dry, you can add some construction stickers to make it look like a real construction site! Little man loves stickers, but he also likes to eat them, so be sure to watch your little one closely! I love this idea to make dirt play doh! I must try this recipe this summer for my 3 year old! It was a lot of fun! Definitely worth trying! I love how you broke down these activities into categories! What a great list to help all area of development! I love the IKEA crane. They always have great things for kids there! Thanks! We love IKEA too! These are all rest suggestions for my toddler. She’s getting to be a real tomboy and loves getting up to mischief with her older brothers. Thanks for the inspiration. You’re welcome! I hope you have fun with these! Aww so many fun ideas!! My son would love all of this! Thanks! I hope you have fun with these! 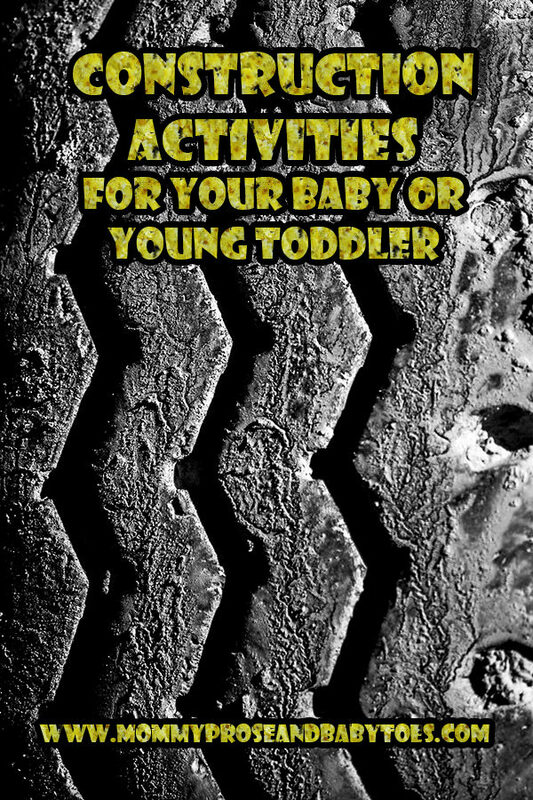 Next Post Playtime with your 6-12 month old!